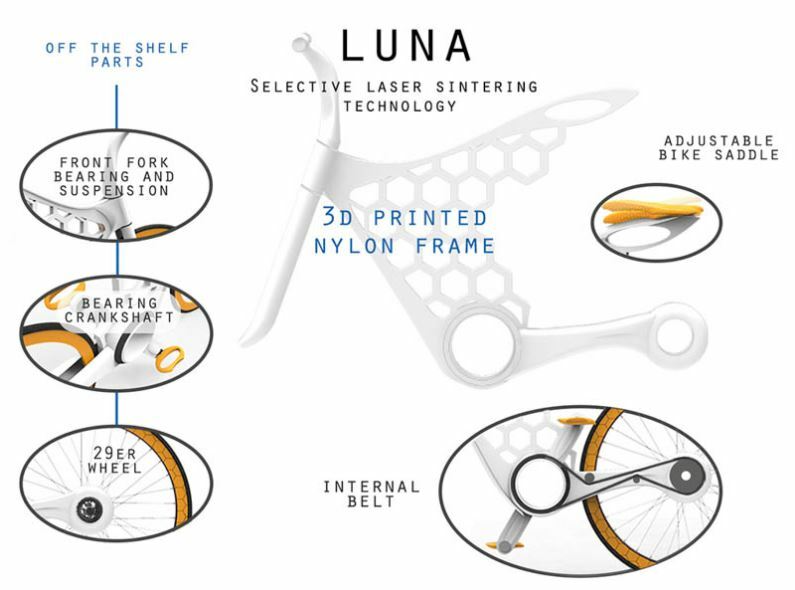 This LUNA 3D printed nylon frame bicycle is a conceptual bicycle design by Omer Sagiv. It features an adjustable bike saddle, an internal belt and it is designed to be a low cost bicycle. The frame, handlebars and front fork are 3D printed. All of the other bicycle parts are standard store bought parts. Nylon has been chosen as the material because it is known to be versatile and tough. 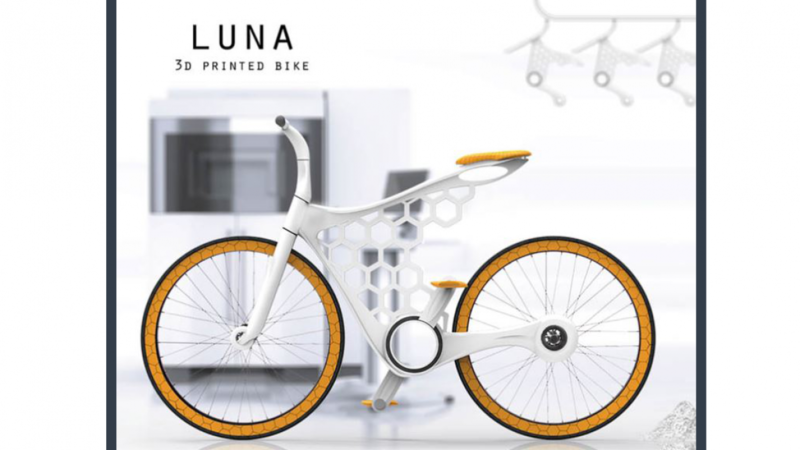 3D printed bicycles are a great idea because the design can easily be adjusted. This is useful because it means that design changes do not cost a lot of money. Money is saved because there are no expensive moulds. Moulds are used to create many products and they have to be remade when designs change. The off the shelf parts are a good addition to the design because they help to keep costs low. As well as being versatile and strong nylon is perfect for bicycles because it is lightweight. 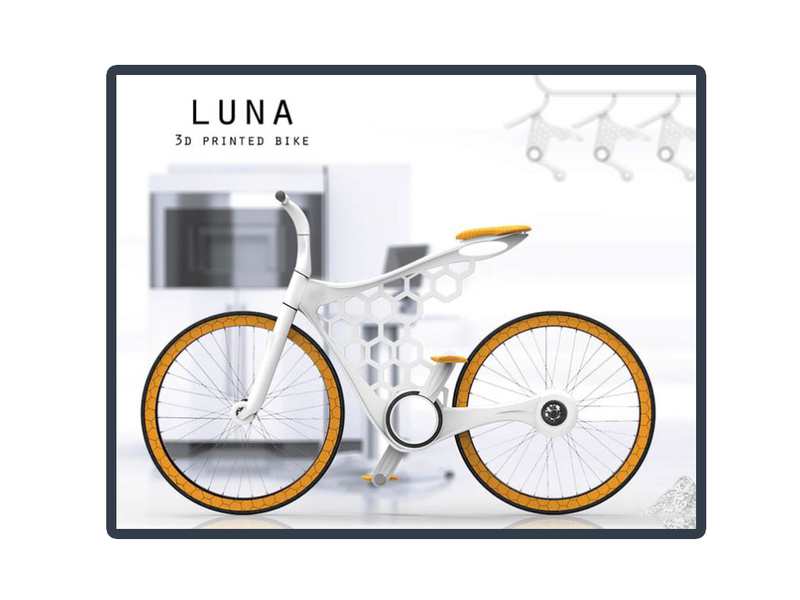 The design of the frame of the LUNA features hexagon shapes that are hollow. This helps to ensure that the frame is as lightweight as possible without taking away from structural strength. It also cuts down on the amount of material that is needed in order to print the frame. If you enjoyed checking out this bicycle you may also like to check out the following.